PROMOLUX lamps are widely used in many service cases that stock delicate food items however they compliment category management in many departments which makes them ideal for use in many commercial food cases. Another way to ensure the lasting freshness of refrigerated items is to utilize low radiation balanced spectrum Safe Spectrum technology lamps in refrigerated cases. 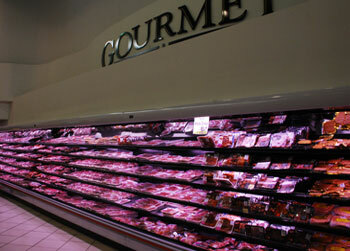 PROMOLUX lamps have been used by supermarkets, restaurants, butcher and meat markets, coffee shops and bakeries, schools and food courts for over a decade to protect items from harmful radiations and bacterial degeneration. PROMOLUX lamps can be used in deli, food service, bakery, dairy, produce, seafood, fresh meat, beverage, and packaged food display cases. The proprietary phosphor-coating only available on PROMOLUX lamps filters out Ultraviolet and Infrared radiations as well as certain damaging elements of the visible light spectrum (those emphasized by traditional fluorescents). 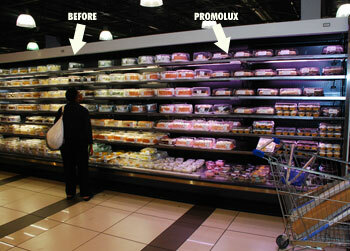 In reducing damaging UV wavelengths and visible spectrum components, PROMOLUX lights prevent discoloration, bacteria and pathogen growth AND protect the nutritional quality, integrity and appearance of fresh foods. PROMOLUX lights are balanced spectrum low radiation lights designed to showcase fresh foods in the most appealing light. Too many shops in North America and world-wide are still using regular fluorescent lighting in their display cases. These kinds of lights are not designed for food applications and provide strong ambient light in yellow or white spectrums that is very damaging to perishable foods. Not only do standard lights make the products look unappealing; they emit high levels of UV radiation, particularly in the UV-A and UV-B range. These emissions can act to increase the surface temperature of food, which leading to accelerated spoilage, and can increase the rate at which it will discolor and emit odor. 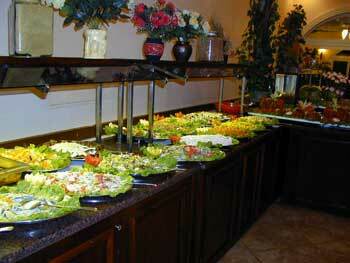 PROMOLUX lights are used by a variety of food stores and gourmet shops world-wide. These store owners all saw the difference PROMOLUX made and wanted to add visual "WOW" to their displays and also reduce product shrinkage rates that were caused by regular fluorescent lights. By using a proprietary blend of phosphors and coatings, PROMOLUX also reduces the effects of lighting upon food displays which can be damaging over time. Act Now! Call us today and start your trial of PROMOLUX lights.